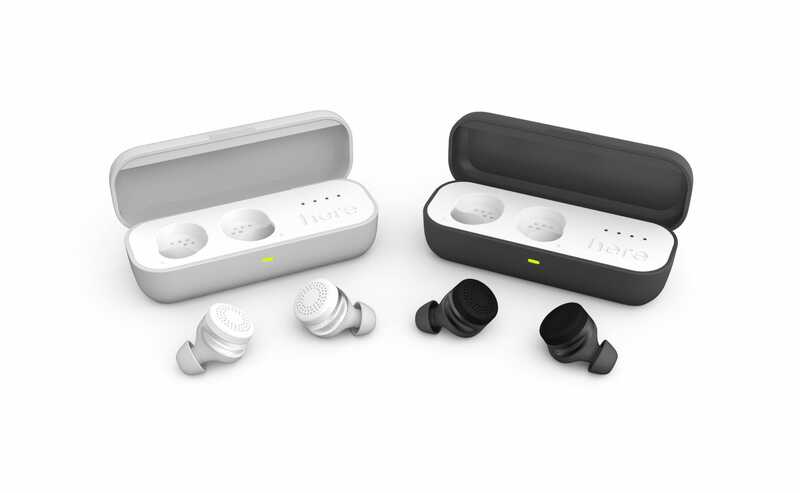 Doppler Labs has announced its first mass-market product, called Here One, which combines Doppler’s sound-morphing technology with wireless bluetooth earbuds. 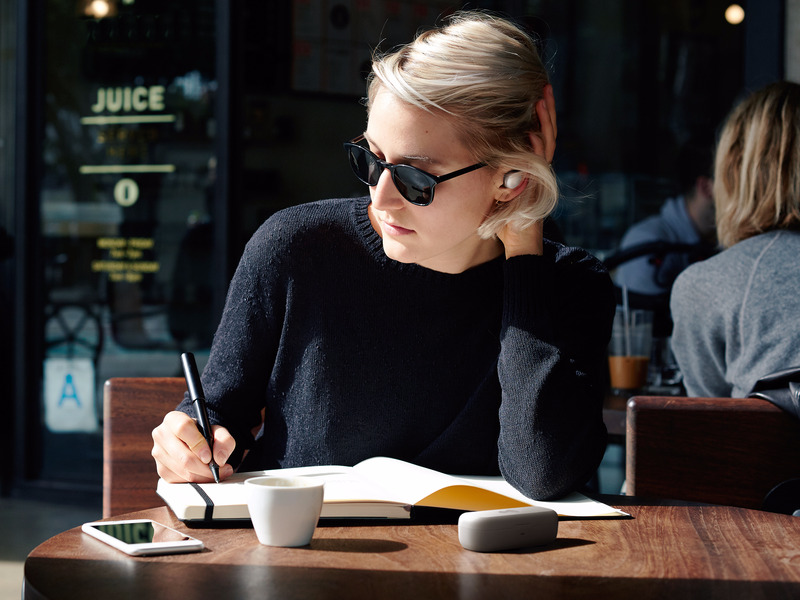 Last summer, Doppler Labs made noise in the tech world by introducing earbuds that didn’t play music, but instead customised the sounds that were coming from the world around you. The pitch was that “Here” earbuds would let you turn the bass up during a concert, or tune out the screeching of cars on the street. These everyday uses weren’t the buds’ strength when I tested them out, and Doppler seems to have recognised this. Now the company is aiming at the everyday with its Here One buds, which will cost $299 when they are released in November. The idea is to create a “1-stop” product, Doppler CEO Noah Kraft tells Business Insider. Doppler wants you to be able to listen to music, make calls, and so on, all while being able to take in the sounds you want from the outside world. Kraft touts a few key features Here One will have that sets it apart from Doppler’s first product and traditional bluetooth headphones. The first is “adaptive filtering,” meaning in plain English, the filters will be a lot better and more specific, Kraft promises. They will be able to target particular sounds “such as human speech, sirens, a crying baby, a jet engine,” and so on, the company says. I haven’t yet got a chance to test that element myself. The second is “layered listening,” which will let you blend whatever you are listening to with the outside world. The example Kraft gives is being at a baseball game and having commentary layered over the sounds of the ball game. When the product initially ships, you won’t be able to combine the adaptive filters with the sound blending, but this is actually the prospect I’m most excited about. Imagine walking around the city with filters set to zap out the sounds of cars and clanging, while your earbuds blend some pleasant music with the other sounds of the city. That would be a sublime product — but we won’t be there yet at launch. While the bluetooth earbuds aspect is the biggest new feature for Doppler, Kraft says the focus of Here One will still be on Doppler’s sound-changing technology. “Headphones are such a piece of commodity tech,” Kraft says, though he adds that Doppler will not skimp on the quality. They aren’t trying to reinvent the bluetooth earbud, but rather, create an entirely new type of device. Think of it more like Amazon’s Echo rather than a bluetooth speaker. That said, Doppler will still have to deliver on the music quality, especially given the type of early backers the company has attracted. And other companies have had problems with wireless bluetooth earbuds. One common issue is battery life. Kraft says the Here Ones will get five hours (three to four when streaming audio), along with two additional full charges in the carrying case. Again, we’ll have to test them to confirm that. If you’ve tried Doppler’s first buds, the form factor of the Here Ones will not significantly change, and will add just one millimetre to its size. Doppler purposefully left extra room in the initial product, Kraft says. We’ll have to hold off judgment until we get our hands on the prototype, but as of now, it seems that Doppler is working to address many of our practical concerns with its first product, while retaining the technology that allowed the original Here buds to capture the imagination of music lovers, including big-time backers like Hans Zimmer and Tiesto.